Last week I visited the Gartner conference in Barcelona. After three days with tons of breakout sessions my ears are ringing with trends, hypes, abbreviations, diagrams and graphs. There seems to be a world of unlimited business opportunities if we start using all these new technologies. And it seems to be the end of the world if you don’t. In the software industry, we like to outline business dream scenarios. But that is the easy part. I prefer to talk about how to get there. What is the better, safer path to innovation? Knowing IFS, one of the leading global enterprise software vendors, I think we can offer a quicker, safer path to innovation than our competition can. Why? We start the transformation of your business from the situation you’re in right now, and continuously add new innovations to your software portfolio. Different type of innovations—which one do you recognize within your company or industry? Gartner talks about customer-driven and innovation-driven innovations. Customer-driven innovations are incremental in most cases, where products and services are improved in small steps. An example can be a car’s fuel consumption, which is driven by regulations and customer demand and only shows small, stepwise improvements. Visionary innovations go beyond today’s customer expectations, trying to offer solutions you still don’t know you need. Visionary innovations can be incremental or radical, or both. A radical innovation is typically a game changer—such as on-line shopping. For some businesses, like music stores selling CDs or movie stores renting movies, on-line shopping is a radical innovation since it has put many of them out of business. For other businesses such as fashion and retail, on-line shopping is a complementary sales channel to physical stores. IFS is named “leader” in the Gartner magic quadrant for single-instance ERP companies, which is also a statement that IFS is well represented in terms of visionary-driven innovations that are released to the market. Customer-driven innovations are by far the most common. Why? They offer less risk and lower cost, are quicker to implement and have shorter time to market. Customer-driven innovations are often catch-up investments because competitors might already offer this new product or service. And, if you were first out, you will only be in pole position for a short time. If your compact camera is broken or lost, would you buy a new one (maybe you have a system camera like me for more professional photography)? For quick and mobile shots I use my smartphone. When I listen to music I don’t use a MP3 player anymore, which does not support streaming. Instead I use my smartphone (I love Spotify). My kids don’t play Nintendo anymore, they use my smartphone or tablet. Nothing lasts forever. Nothing. 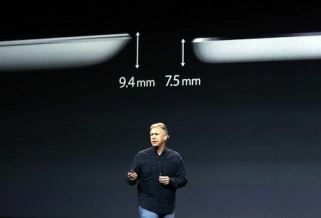 When Apple launched iPad 5, they were proud it was 2 millimeters thinner. That feature doesn’t motivate me to run to the closest shop to buy a new one. Conclusion: Sooner or later radical innovations become incremental. The time a radical innovation remains radical is shorter than ever. At IFS we talk about the Platform for Innovation. IFS Applications 8 is the platform for innovation that gives our customers quicker, safer and cheaper access to new innovations that are regularly launched by IFS, making them more agile and flexible when doing business. Let me once again refer back to Gartner. They talk about the pace-layered approach to explain three types of innovations in a software product portfolio. We like to use this model to explain how different types of innovations in IFS Applications can reach the market at different pace. 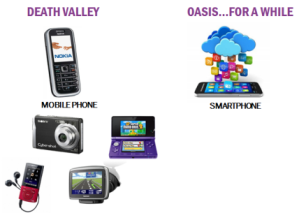 IFS delivers innovations in two principal ways – as core release and as product extensions. A core release is made roughly every two to three years and includes changes in functionality, architecture and key technologies. A core release also consolidates previous innovations made available as product extensions, which are typically released several times a year. A product extension usually targets a specific business process or product solution, bringing entirely new capabilities or major improvements to faster address new customer and market needs. On top of this, we prototype new products that lie beyond current expectations in IFS Labs. 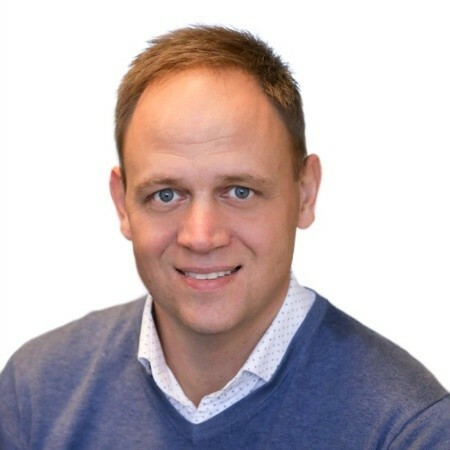 This pace-layered approach allows IFS to bring new, differentiating capabilities to the market and to our customers quickly, while maintaining control and the integrity of the core business processes. To read more about the path to innovation, please also check out the following blog posts. In a few days, IFS can send you a fixed price quote to upgrade to latest version of IFS Applications. is the platform for innovation.